Most modern laptops allow you to control the brightness of the screen. As you might expect, the brighter the screen, the more power is required. Dim the screen and you could find that your battery lasts a lot longer. It’s often the case that you’ll have a number of programs running, yet you’re only using one or two of them. Although you might not see them running, they could be running in the background, adding to your CPU load, and consuming more energy. Shut down the programs not in use and save energy. If you’re unsure about programs running in the background, simply open the task manager. You should clean the connection points on your laptop’s battery every now and then. Dampen a cloth with alcohol and use it to clean the points. Clean points mean that electric current can pass through efficiently, meaning you save on wasted power. CD and DVD drives use a substantial amount of energy to operate. If possible, opt to use the hard drive instead, as this requires less energy. If you regularly defragment your hard drive, it will operate more efficiently. The more efficiently your hard drive operates, the less demand is placed on the battery, meaning you will get more life out of it! As an additional advantage, this will also help in speeding up your computer. If you are not in need of a wireless connection, it is better to turn off the wireless receiver on your laptop as it puts unnecessary strain on your battery. Most laptops have an easy to locate switch to turn off wireless networks. Your computer requires computing power to show all those stunning visual effects. 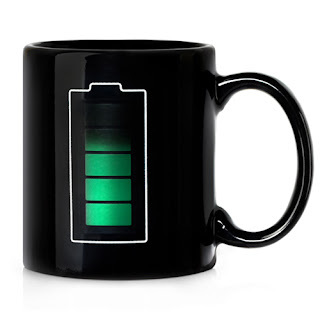 More computing means more battery consumed. Hence, if you want your battery to last longer, it is advisable to preferably turn off or at least tone down those visual effects. Changing your power scheme to Power Saver makes your computer adjust its settings to use power minimally and give you extended battery life. Most operating systems allow you to change power schemes. Your laptop will operate far more efficiently at lower temperatures. If your air vents are clogged up with dirt and dust, the machine cannot be cooled efficiently. 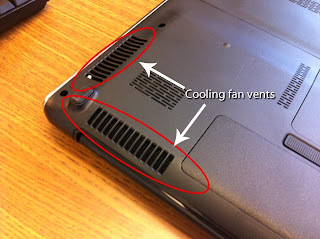 By regularly checking that air can pass freely through the vents, you can be sure that your laptop remains as cool as possible. You can use a brush or a lightly dampened cloth to remove any dust or dirt. For even better cooling, you can try a laptop cooling pad. External devices, such as external hard drives, iPods, and even your mouse can put unnecessary strain on your battery. If it isn’t absolutely crucial that you use these external devices, shut them down and disconnect them entirely to save on battery usage. Performing multiple tasks at any one time, for example listening to music whilst downloading files and creating Word documents, will again put unnecessary strain on your computer. When battery power is scarce, don’t over-work your laptop and drain the battery too quickly.